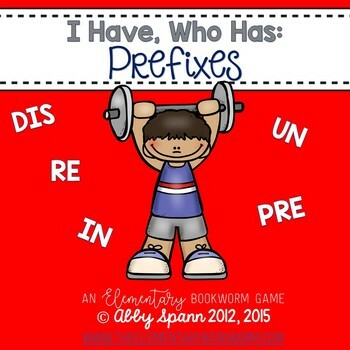 Teach five common prefixes: un-, re-, dis, pre, and in with this game and resource pack! This is now a 15+ page resource with all new graphics and fonts, featuring a 36-card game that can be played in a whole group or small group setting. 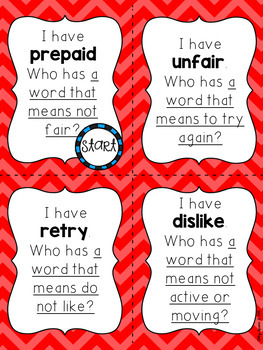 Students must listen to word clues to determine whether or not they have the word being described. 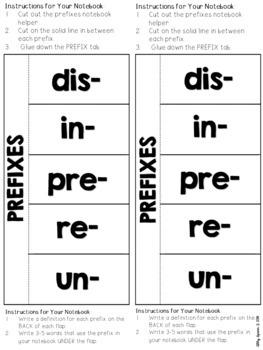 I've also added a set of differentiated practice pages and an interactive notebook page. 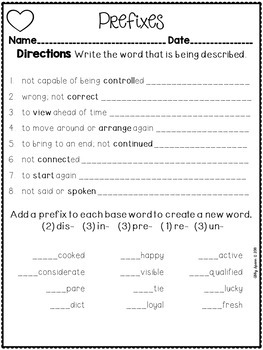 This pack is designed to reach learners at multiple levels in 3rd and 4th grade!